Proactive MethManagement is ongoing regular testing for methamphetamine use and may include monitoring for methamphetamine manufacture. 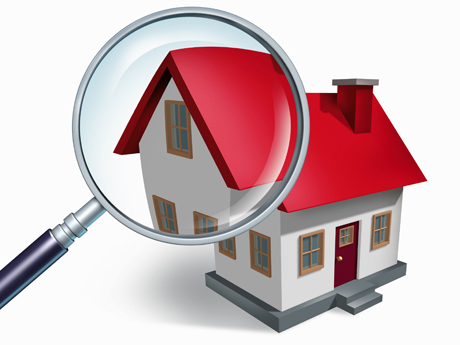 It ensures you have a clear timeline for each property that shows when it was clean and when it became contaminated. This service is suitable for a property where you do not suspect meth has been used, or you know from previous tests where no methamphetamine was detected. The Standard NZS8510 detailing acceptable post decontamination levels of methamphetamine residue was released in June 2017. This Standard is voluntary and is used to assess post decontamination acceptable levels of methamphetamine residue in any property or buildings where people may be present including, but not limited to dwellings, sheds, garages, vehicles, boats, caravans, mobile homes, work places, hotels, motels and storage facilities. Our Standard Screening Assessment [SSA] method uses the discrete area by area method of sampling and complies with Standard NZS8510. The results indicate if a property is habitable and can be tenanted. Each SSA test kit contains five swabs used to sample five individual areas and the results represent a cumulative level of each of the individual wipes. A one bedroom apartment would require one SSA test kit however a 3-bedroom property may require 2-3 SSA test kits. If the level of methamphetamine residue detected by the lab in each SSA kit is at or less than 1.5 micrograms/100cm² per sample, the property complies with the Standard NZS8510 and can be tenanted. If the level exceeds 1.5 micrograms/100cm² in any of the SSA kits, Insights testing with individual analysis is a consideration in those areas to establish which rooms are contaminated and to facilitate cleaning. Our second initial screening assessment service is the Baseline Infield Composite test or BIC and establishes if methamphetamine contamination is present. The recovery rate of methamphetamine residue via the BIC method is lower than the SSA method due to the number of swabs used. The results cannot be directly referenced against the Standard however and the pre-tenancy result is compared against the post tenancy result to identify if methamphetamine related behaviour has occurred during the tenancy. “Set or Reset Baseline between tenancies”. Proactive MethManagement is ongoing so we give you a discounted rate compared to one-off tests. The initial test as part of proactive MethManagement is purchased at the rate and a discount applies to second and subsequent tests in the same property. To ensure these MethManagement rates apply, the test must be booked by the property owner or a representative of the agency managing the property. MethManagement rates also apply to properties where the MethMinder device is installed. MethMinder provides 24/7 monitoring of air quality looking for the chemical ingredients used in the manufacture of methamphetamine. The device is overt and acts as a deterrent to meth related activity. MethSolution’s proactive MethManagement strategy is both a test for use and monitors for manufacture.